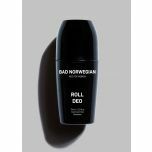 BAD NORWEGIAN Gift Set Body will provide the essential for mornings and after workout, based on 100% natural ingredients. Wash Body cleans, refreshes and hydrates your skin. Boosted with menthol to provide you with a cool wake-up morning feel. Perfect for morning showers or after workouts. Roll Deo is an aluminium-free deodorant which provides effective odor control. Both products are based on 100% natural ingredients. Wash Body is designed for daily use, without drying out your skin. It will provide a pure and fresh feeling after showering. Roll Deo is based on natural ingredients and can be used daily on all skin types. Combining well-tested ingredients in a new mix, it will leave the skin feeling cool and fresh through your day. No aluminium, parabens, mineral oils, alcohols, coloring agent, perfume, animal ingredients, silicone, methylchloroisothiazolinone or other unnecessary ingredients. Not tested on animals. Cruelty-free and vegan. 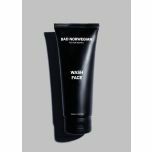 Wash Body: 250 ml / 8,5 fl.oz. Roll Deo: 75 ml / 2,5 fl.oz.